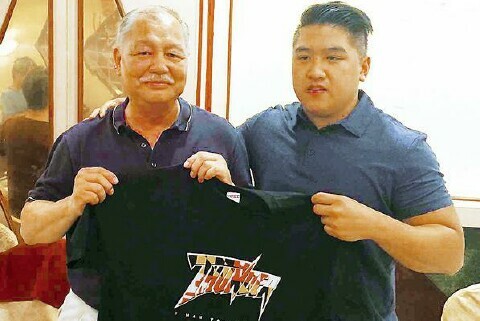 只見香案前：獻鮮花、香茗。 然後依程式列初獻禮：獻剛鬛、柔毛。行亞獻禮：獻發包、饈饌、襄飯。行三獻禮：獻福粄、福餅、果品。 恭讀祝文，儀式莊嚴隆重。禮成、只聞鑼鼓喧天。一時滿堂祥瑞氣嫋繞。 祠外袍竹齊鳴，大振奮人心。 正是：慎終追遠顯揚祖德，朝幹夕陽興我邦家!中午設午宴數十席招待四姓族人，喜氣洋洋，氣氛和諧歡愉! 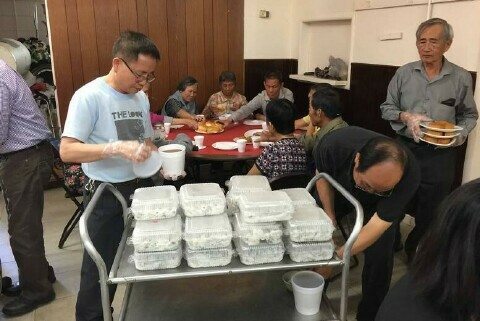 紐約余風采堂非常客氣，預先在酒樓定了五席接待波士頓的客人，菜色非常豐富。 部份宗親離隊前往探親或購物，大多數人都到酒樓與紐約宗親歡聚， 當日紐約余風采堂出席的高層職員有宏基總長、景新元老、錦韶主席、棟榮主席、典榮顧問、 廣一顧問以及其他幾位職員，令波士頓 宗親感到非常榮幸。 席間賓主歡談時事，交換對族務的意見。餐後各宗親分開或前往購物，或探親，或參觀紐約的名勝。 主人還特別開放公所供給波士頓客人休息之用，宗情深厚. 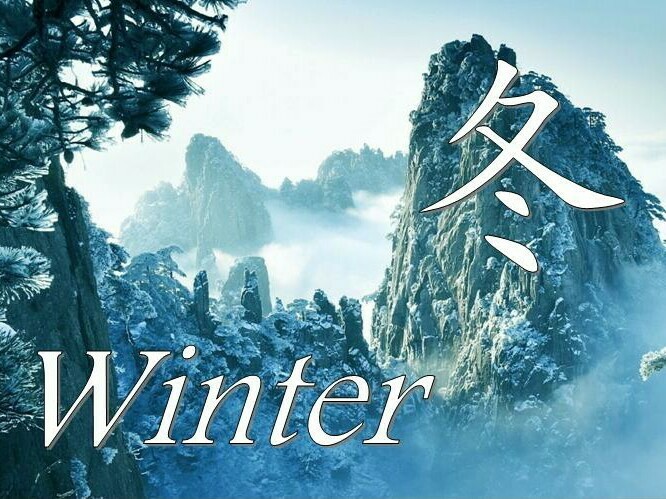 直至下午六時，各宗親才登上回程的巴士，盡興而歸。衷心感激紐約余風采堂的盛情接待! 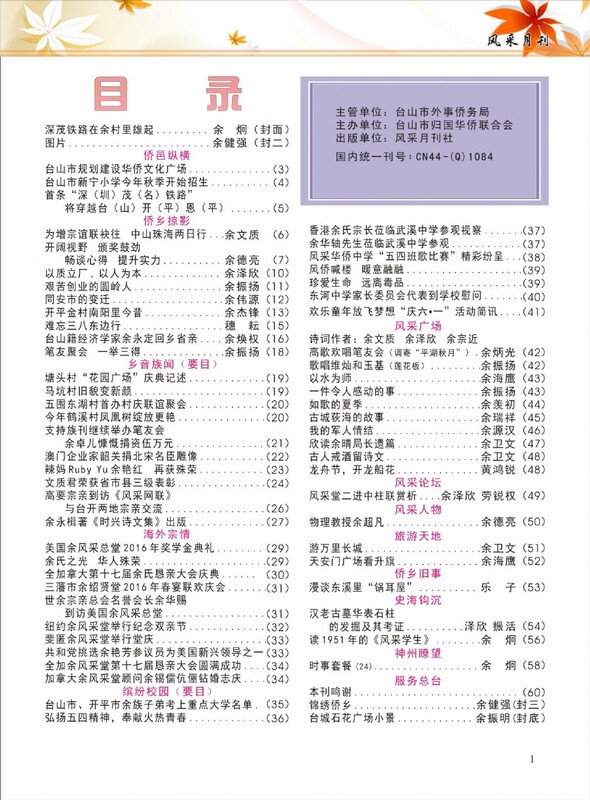 What is in the Next Issue? 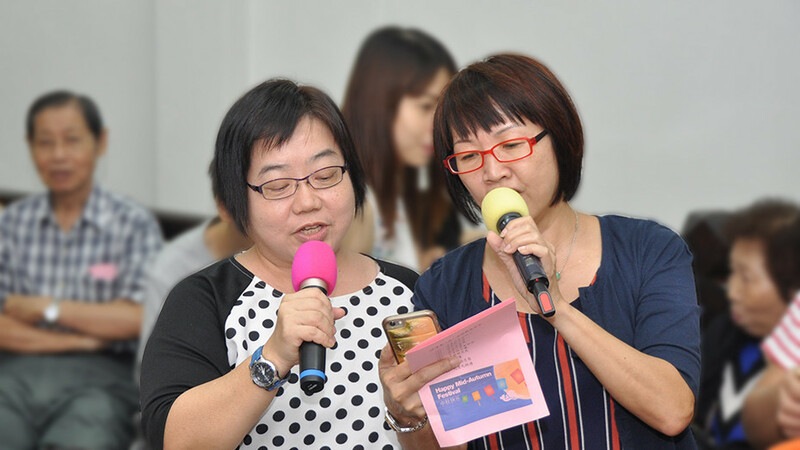 Welcome to the 49th issue of the Yee Fung Toy Global Village Voice, an electronic newsletter for the World Yee community. 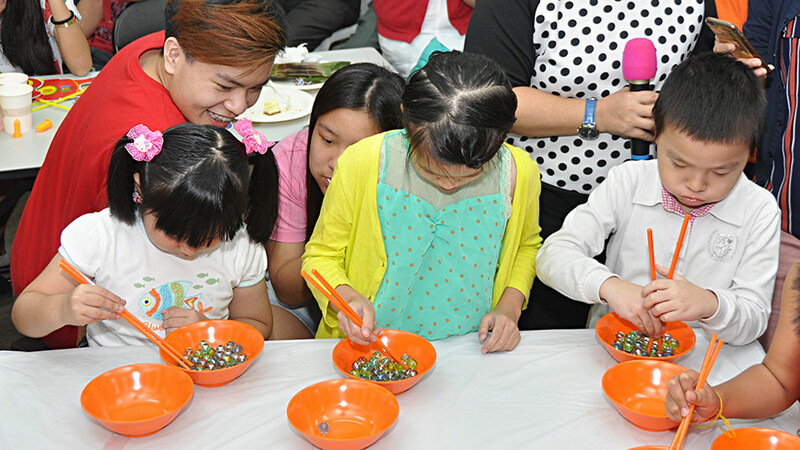 In this issue we are featuring some of the Autumn activities from the Yee associations around the world. 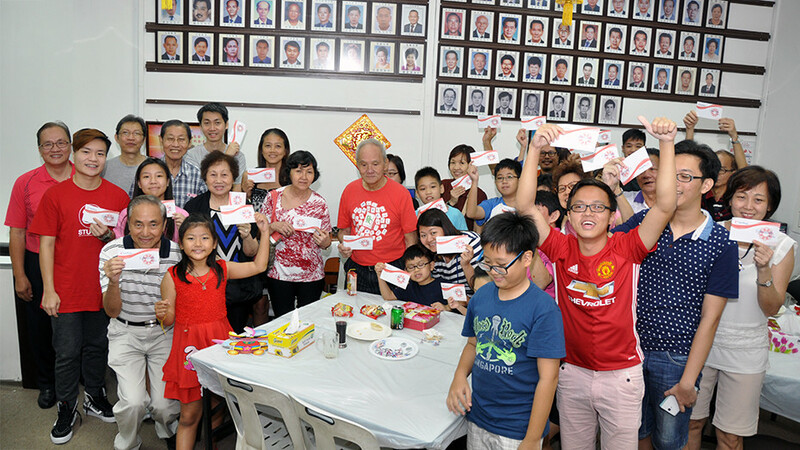 And now, we'd like to thank all contributors, and remind anyone who wants to become a contributor that they can email us their reports and photos of events and activities from their locale. 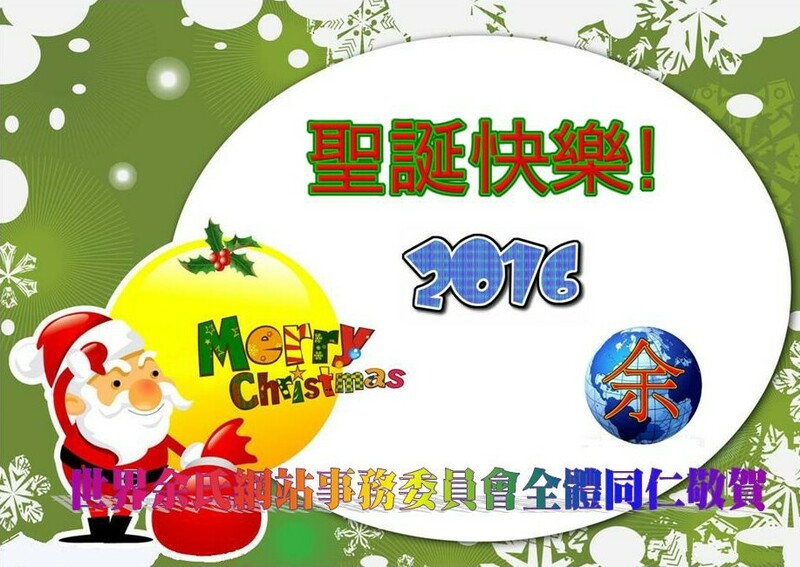 As you all are heading out to celebrate the holiday season with friends and family, on behalf of the World Yee Web Committee, I wish everyone a very happy, healthy and safe holiday season! 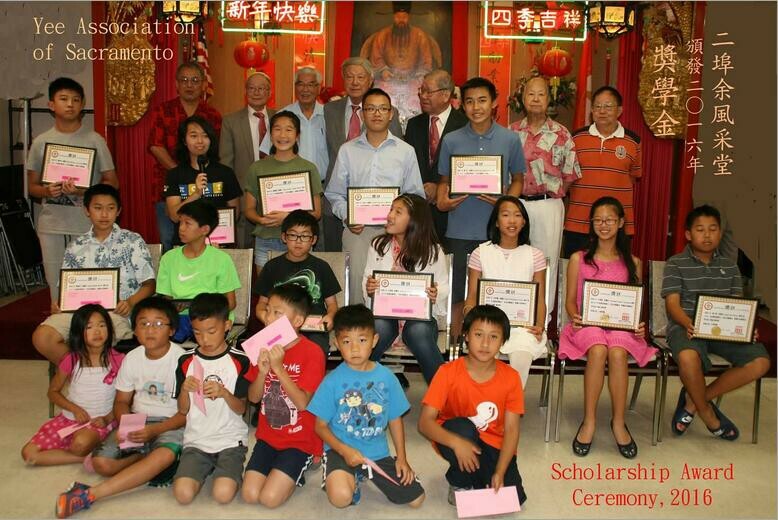 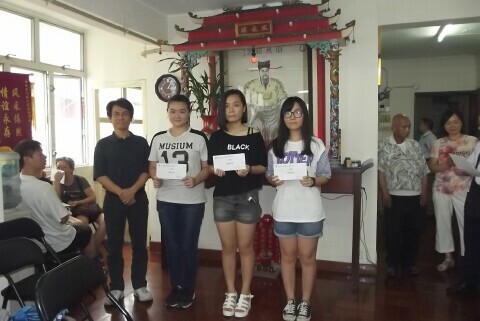 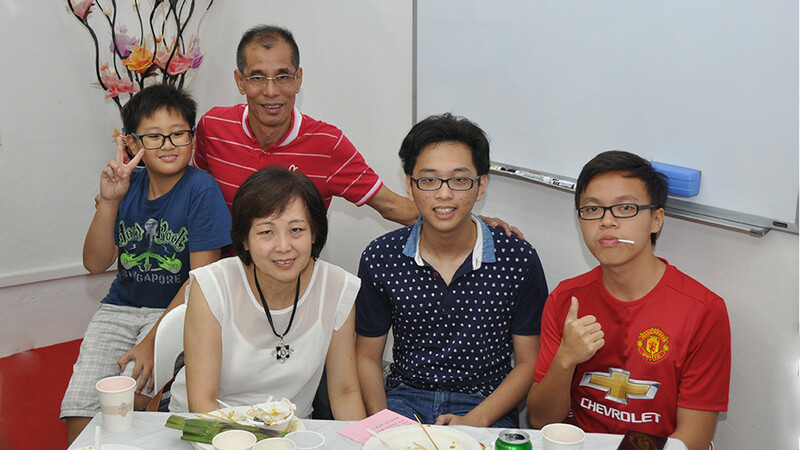 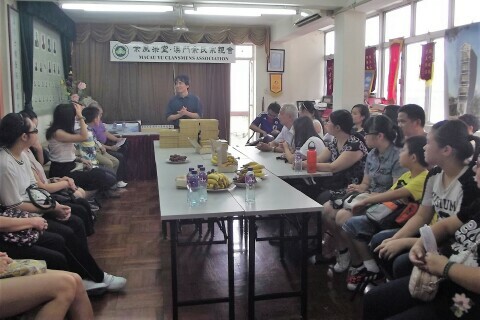 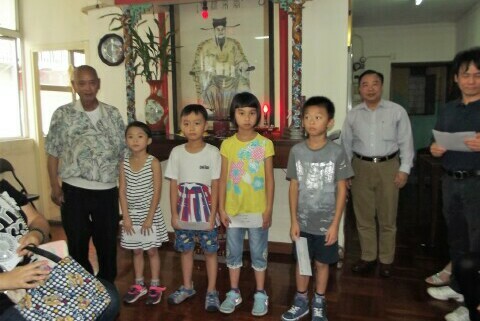 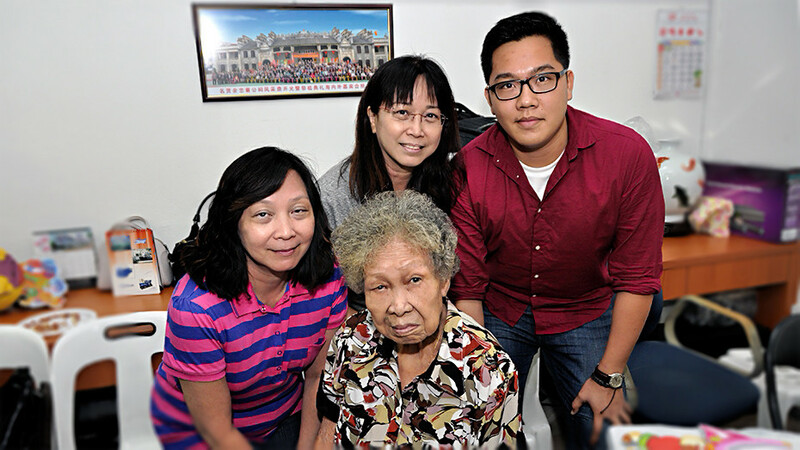 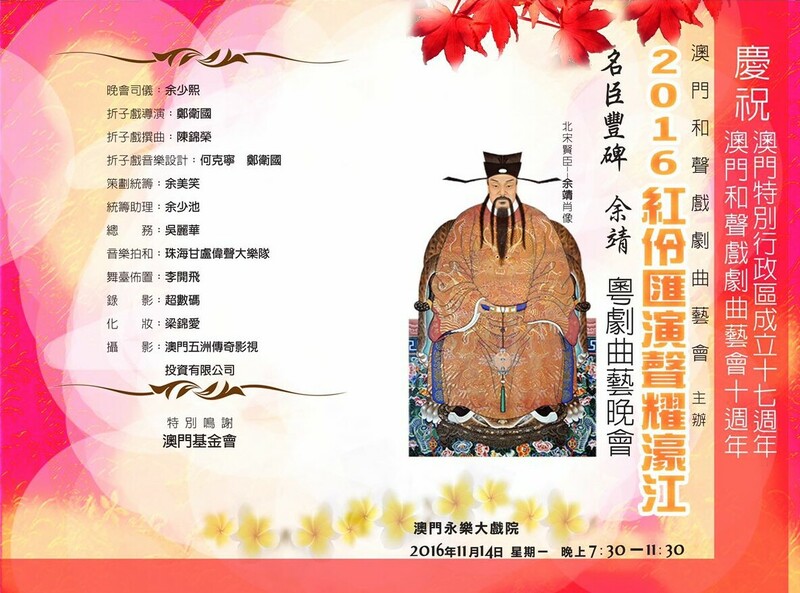 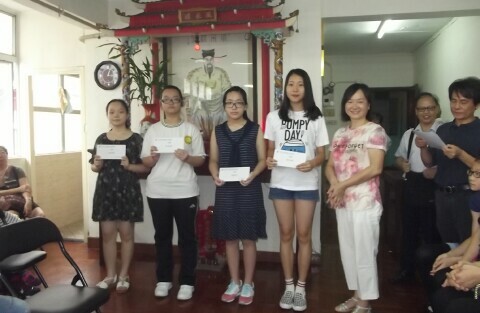 In order to strengthen clansman's liaison and encourage members' children to study hard for nurturing talents for the society's future, Macau Yu Clansmen Association awarded scholarships 2015/2016 to outstanding members' children. 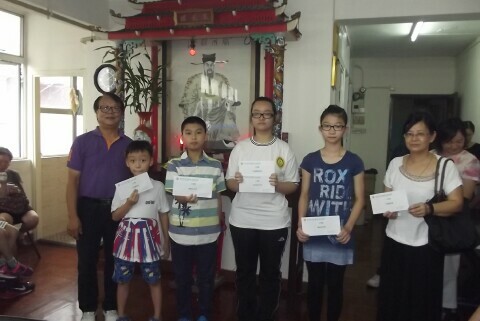 More than 40 primary and secondary pupils were awarded. 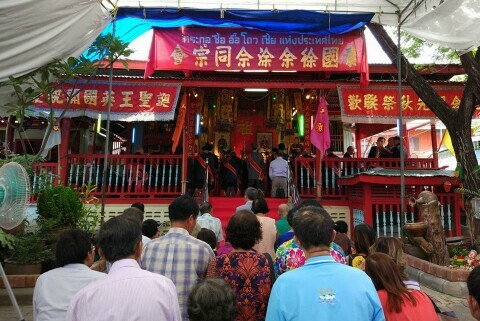 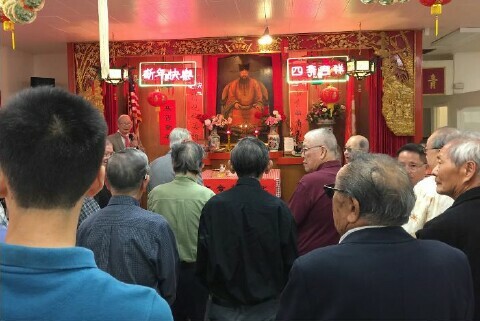 The ceremony was attended by many guests and members, which was filled with active and joyful interactions. 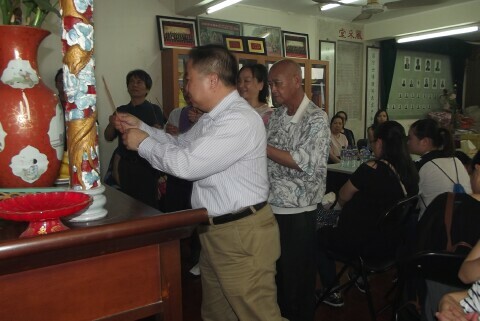 Before the awarding ceremony started, led by U Cheok-pui (余焯培), vice-chairman of the supervisory committee, the attendees worshiped the great ancestor, Yu Cheng, famous minister of the Northern Song Dynasty, by burning incense and bowing for three times for showing respect to his high integrity for being a upright minister. 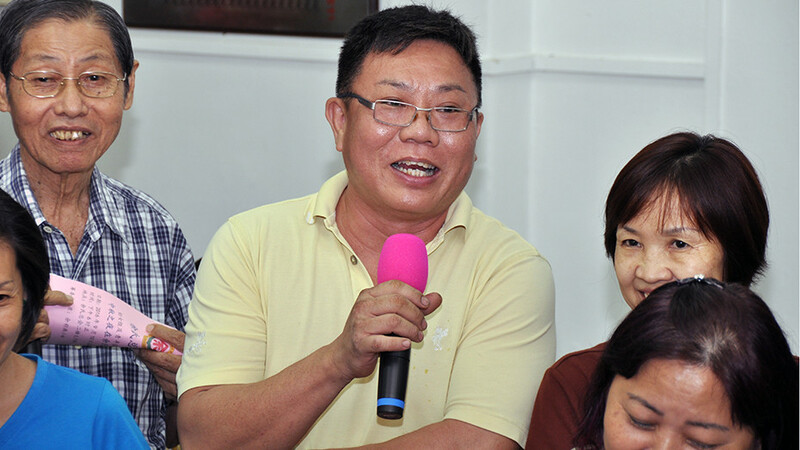 Iu Va-san (余華燊), first vice-chairman of the executive committee, mentioned that the Association had awarded scholarships for many years. 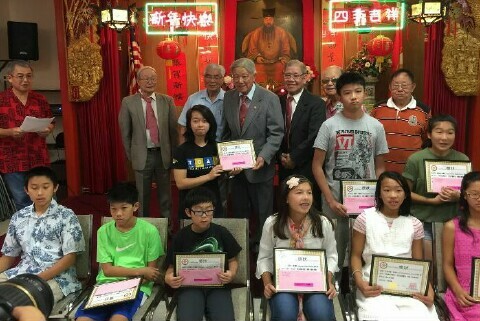 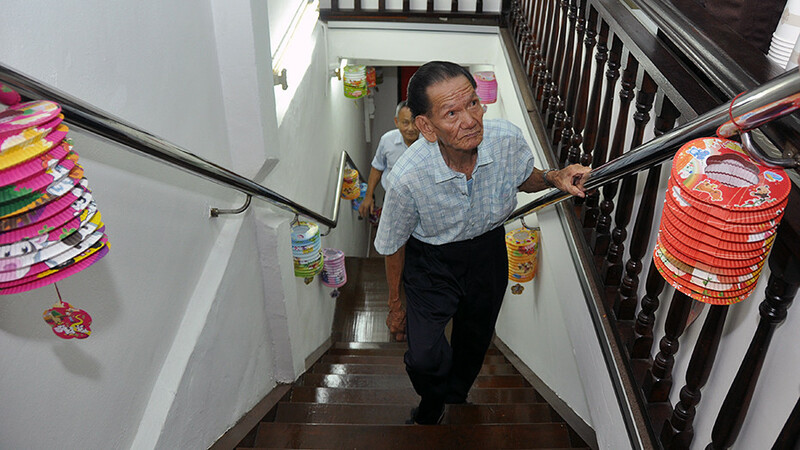 The purposes are to praise and recognize members' children for studying hard in the past year; encourage the young generation to keep on learning actively and humbly so as to equip themselves to contribute to different areas of the society in the future. 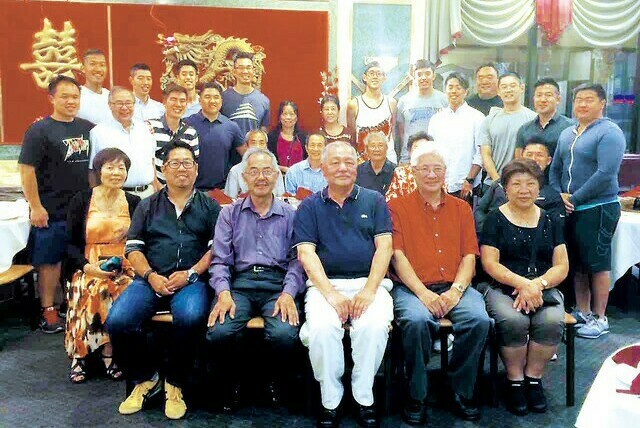 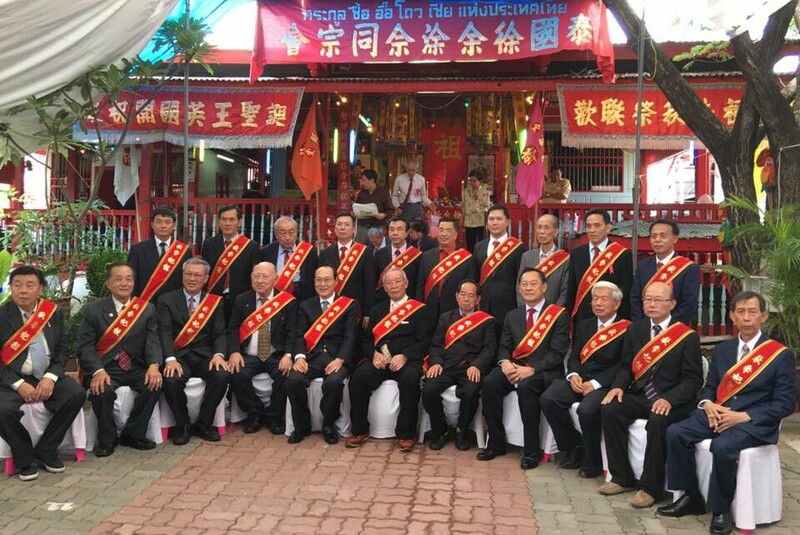 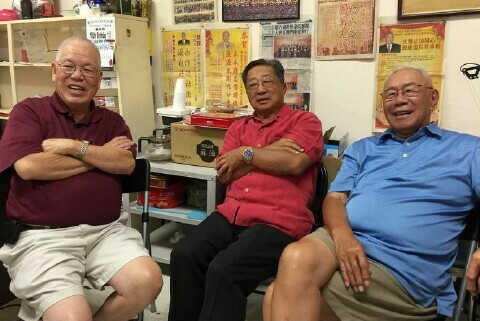 Iu Siu-chi (余少池), Yu Chi-keong (余志強), U Kin-man (余健文), vice-chairmen of the executive committee and Robert Yee (余超權), committee member also attended the ceremony. 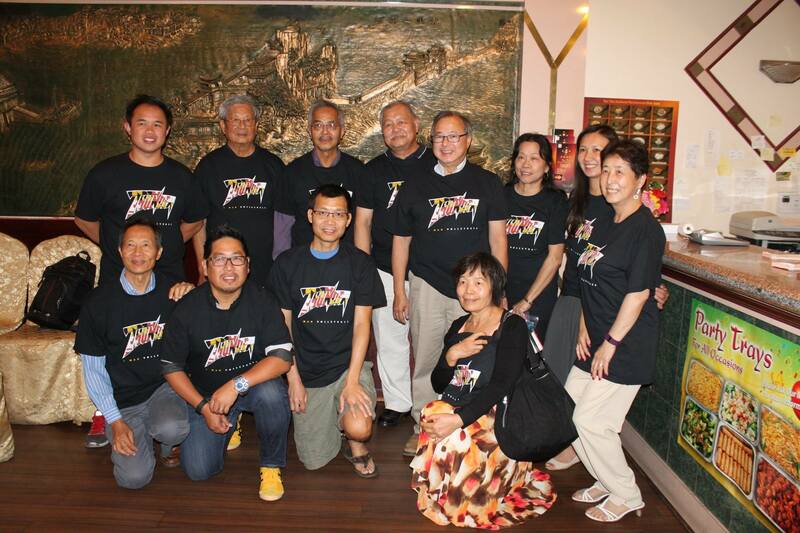 The Southern California Yees on September 3rd, welcome the Washington DC Yee Fung Toy Thunder 9 man volleyball team to LA for the recent NACIVT. 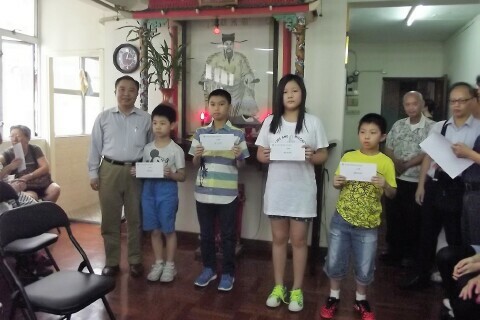 We wish them to have a great tournament and to win all their games. 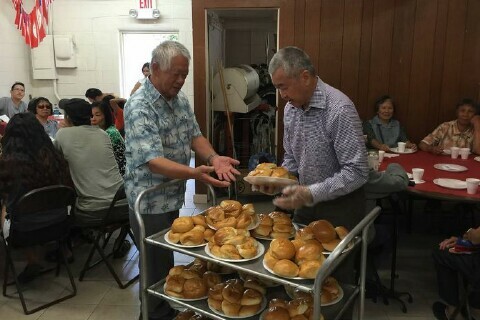 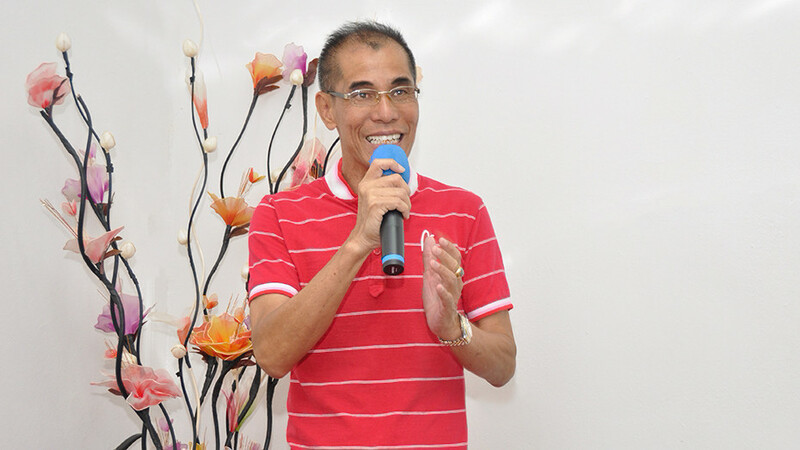 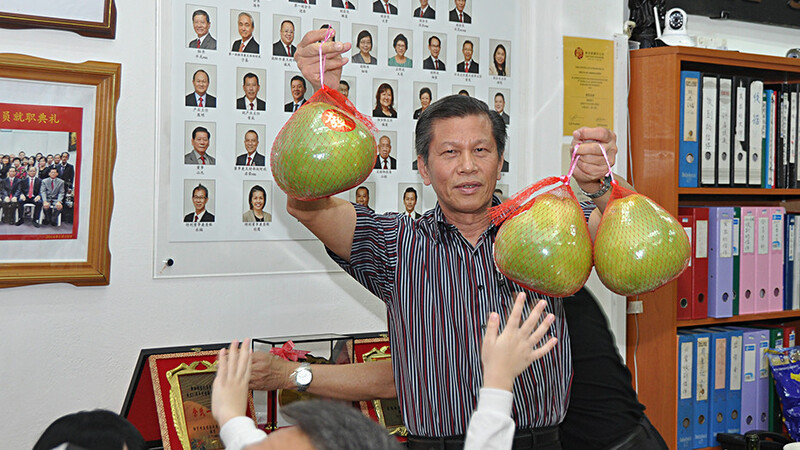 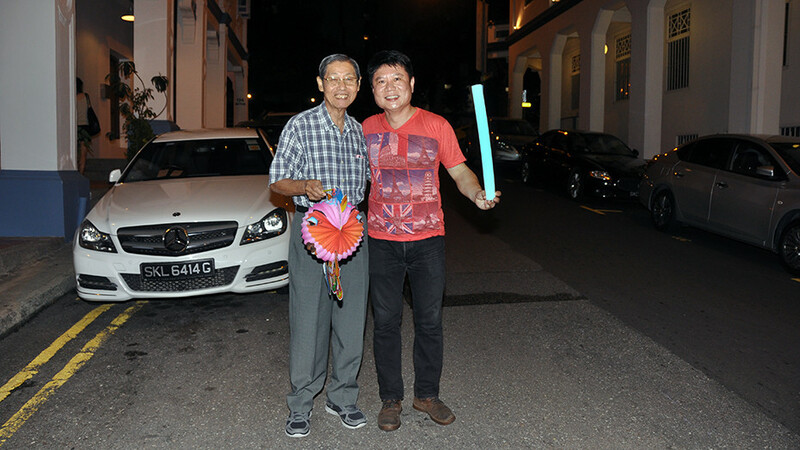 And specially thank our Western Grand President Eddie Yee for coming down here for this. 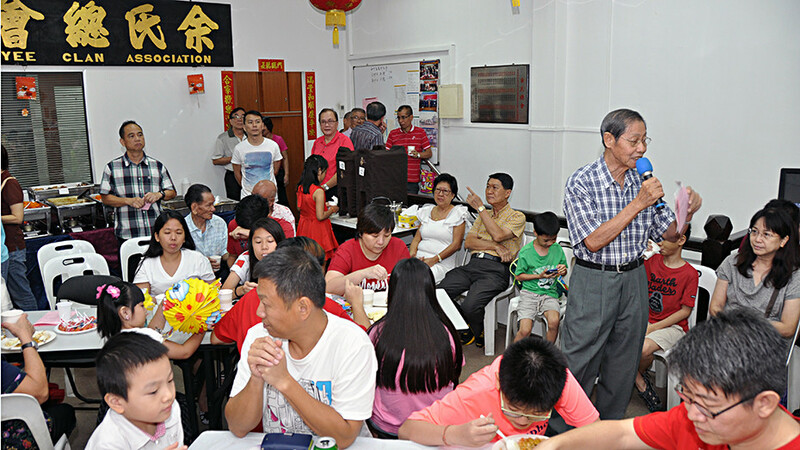 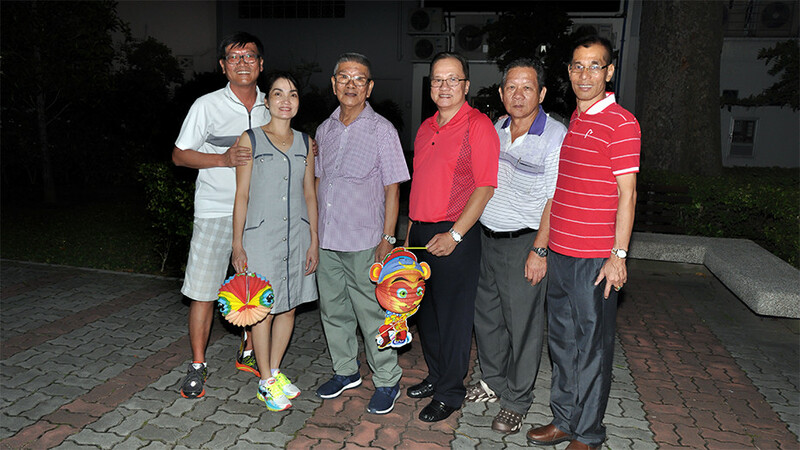 The Mid-Autumn Festival was held on the 10th September, 2016 in our Association’s premise. 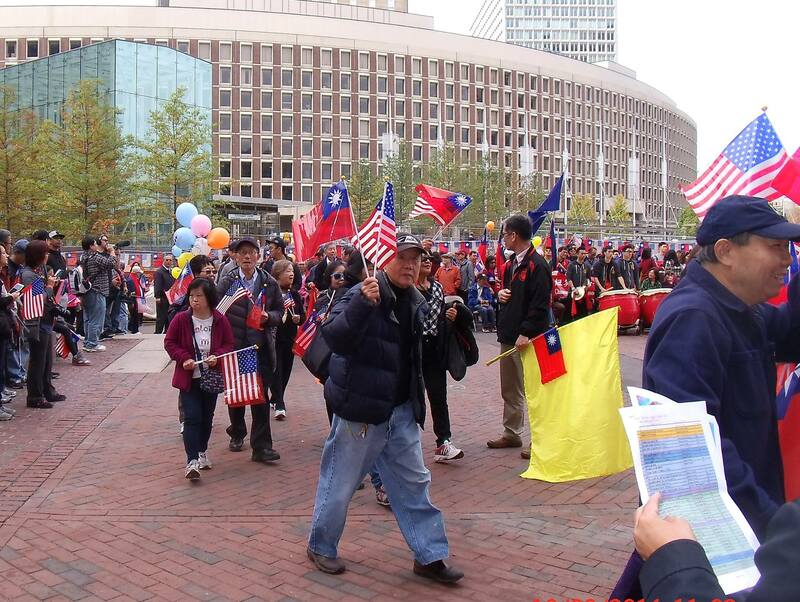 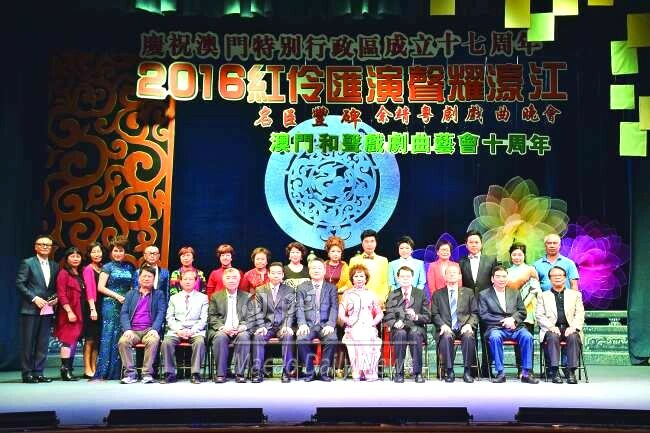 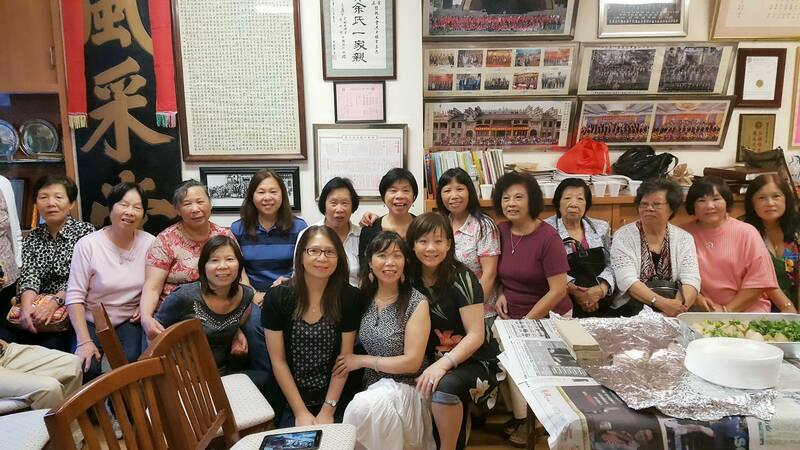 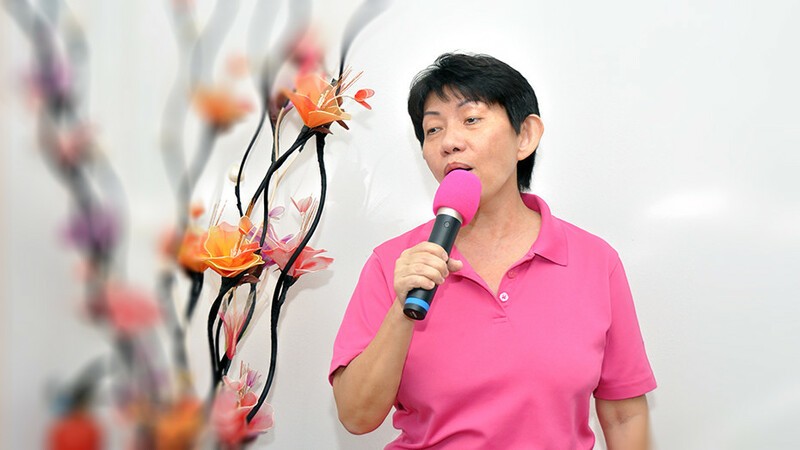 Under the meticulous leadership of Cai Yan, the Women’s Group and Youth Group jointly organized this successful function. 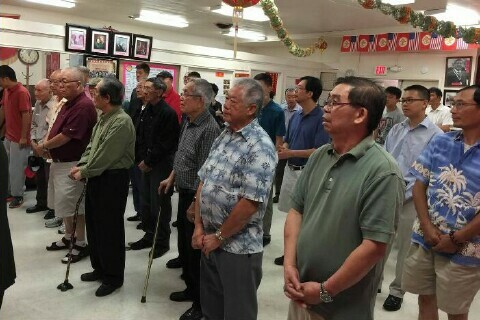 A huge turn-out of just under a hundred members arrived and packed our premise. 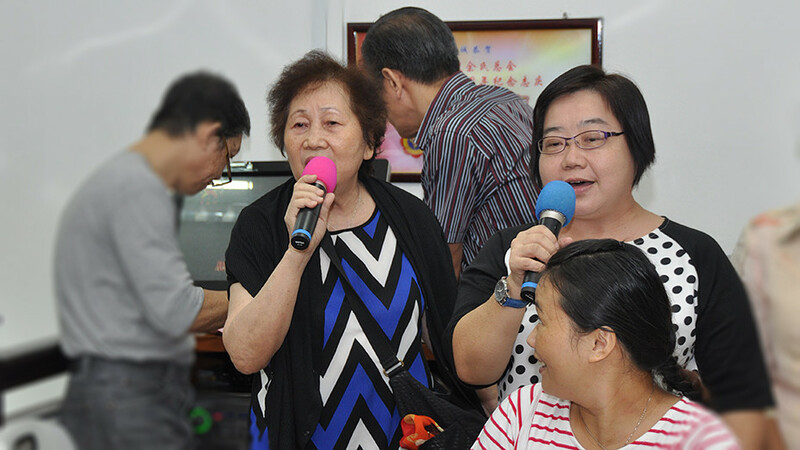 We had plenty of games, food, singing and good time. 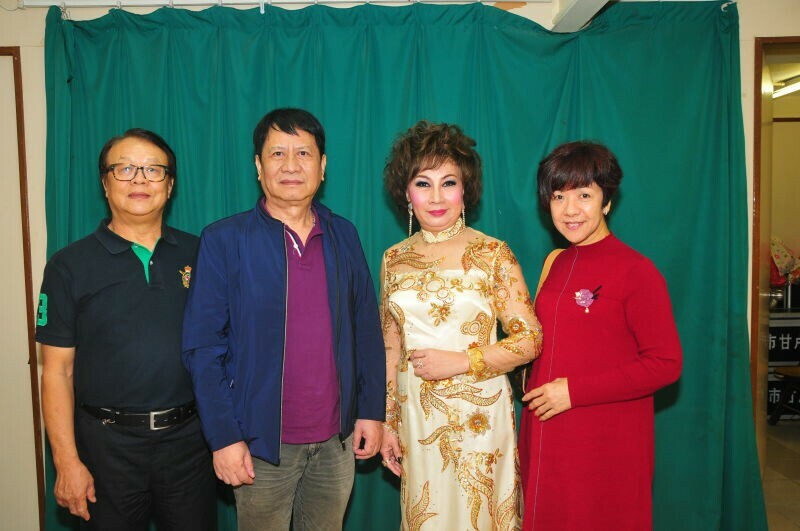 One member rocked the room with his repertoire of performances. 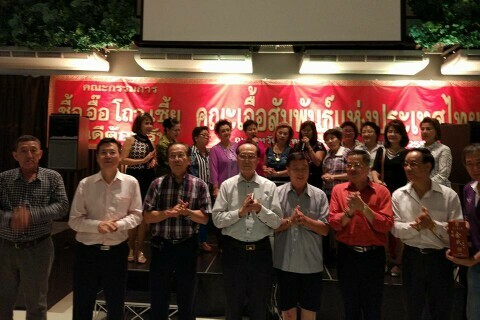 More photographs may be viewed at Flickr, please click here. 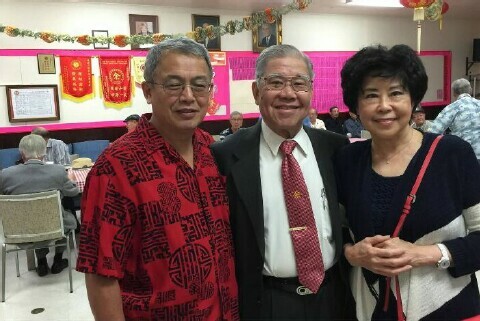 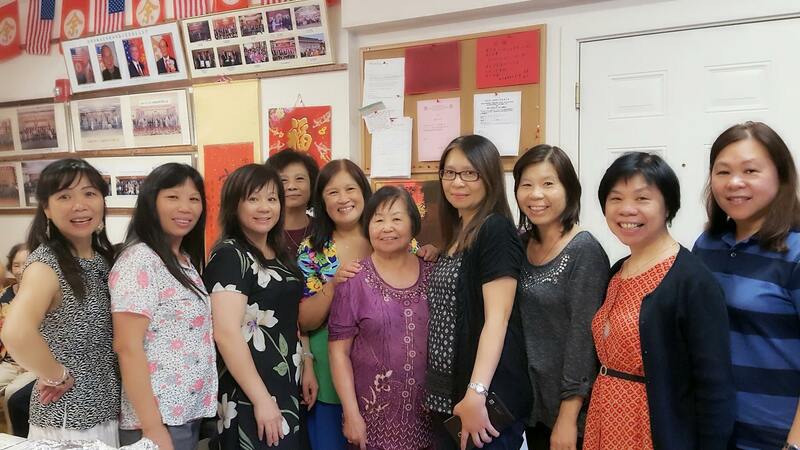 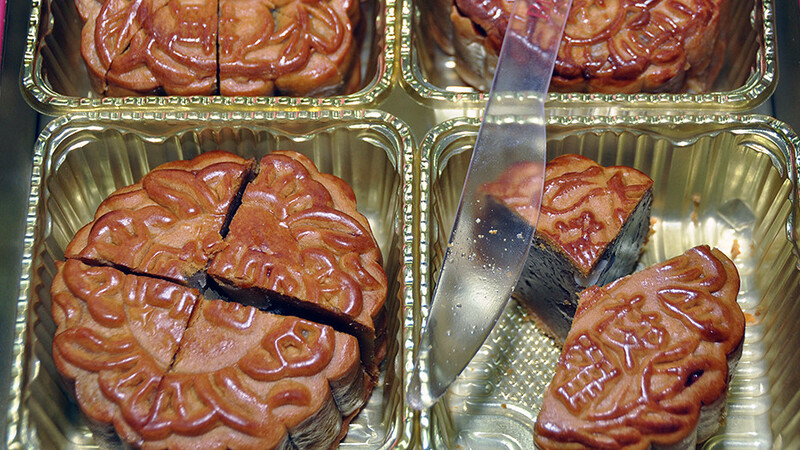 The Sacramento Yee Fung Toy Association's Mid-Autumn Festival was held at noon on Sunday, September 11th. 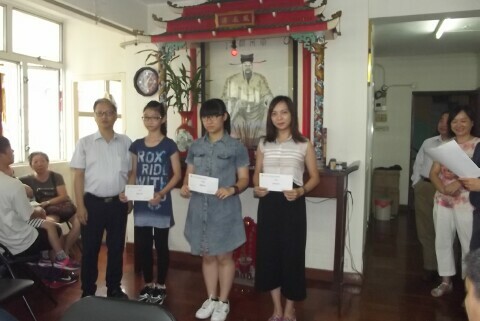 After paying homage to our ancestors, awarding scholarships and assistance tuition to the qualified students, a luncheon was served. 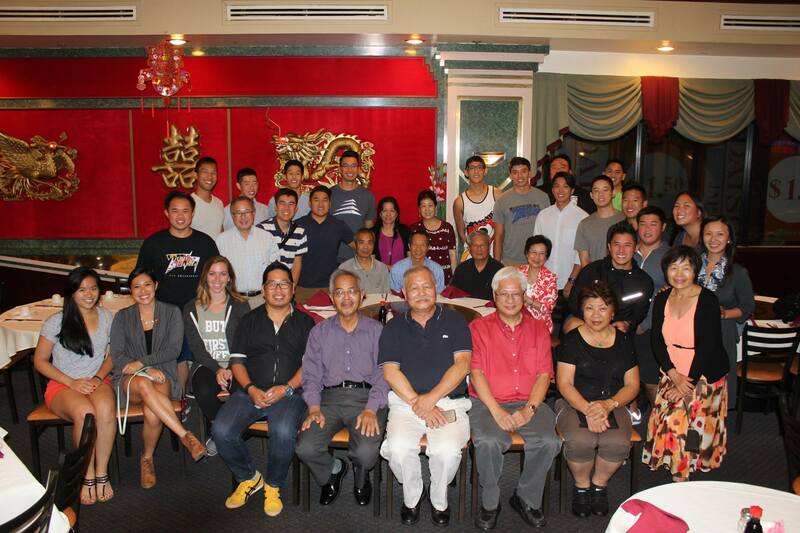 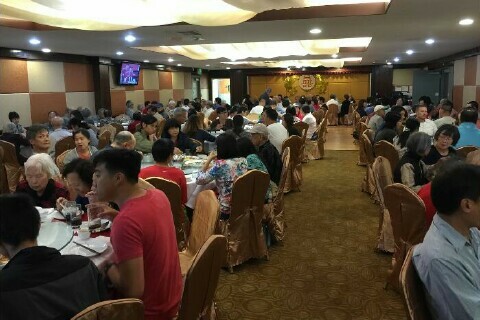 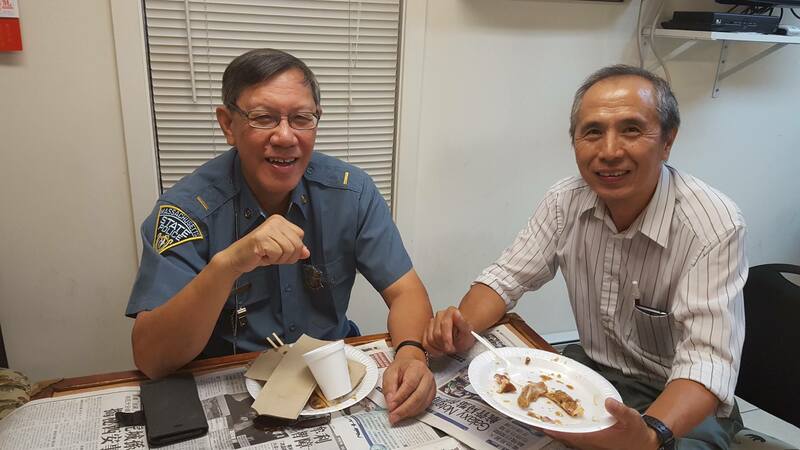 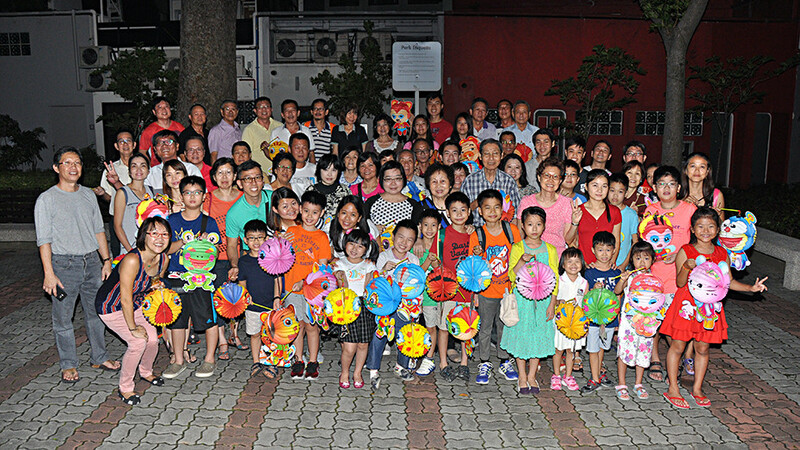 Our annual Mid-Autumn Festival Dinner was served at the Hong Kong Islander Restaurant. 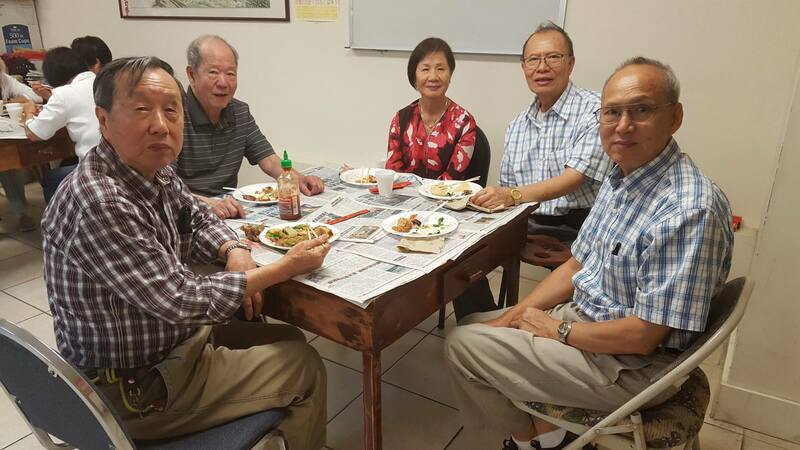 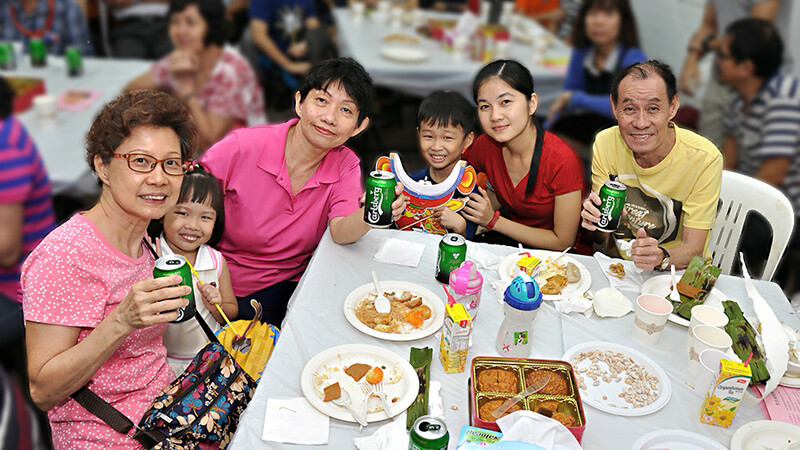 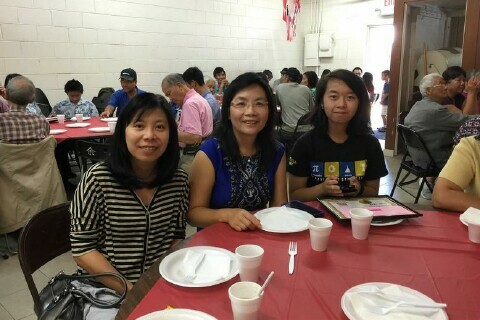 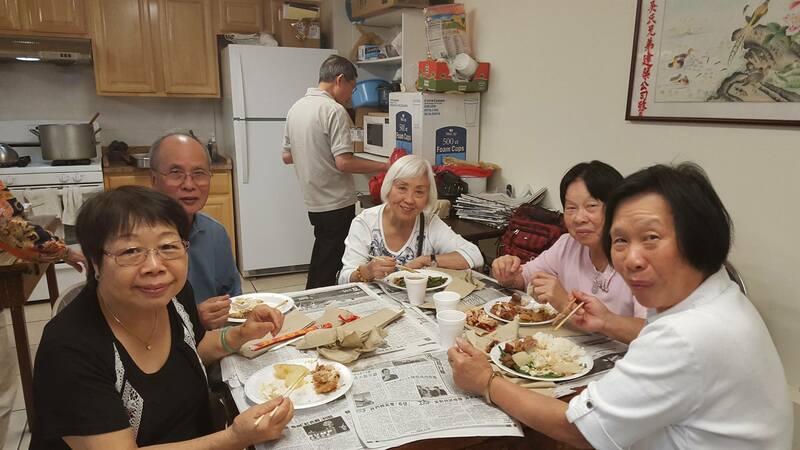 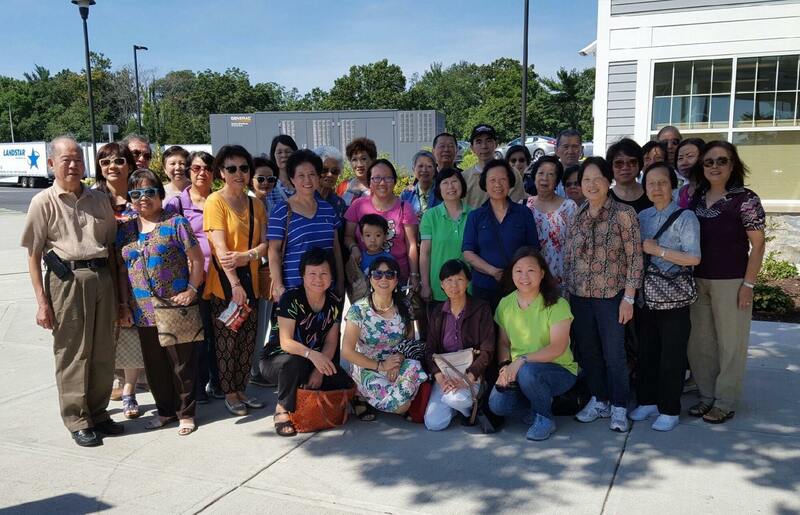 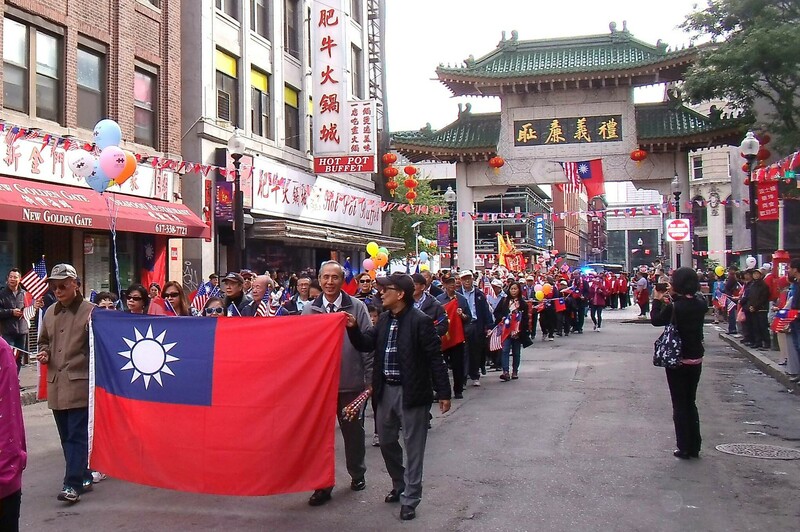 Sunday, September 11, 2016, our Association celebrated this year's August Moon Festival with a day of food and activities. 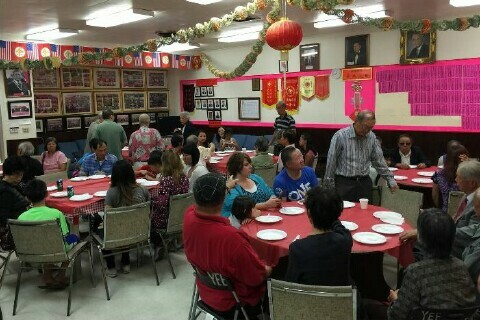 Everyone grabs a plate and enjoyed the fine selection of food and general socializing. 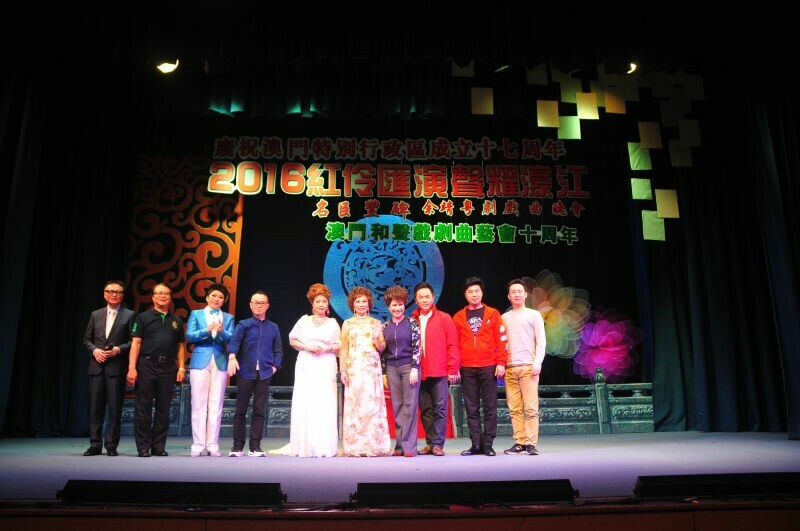 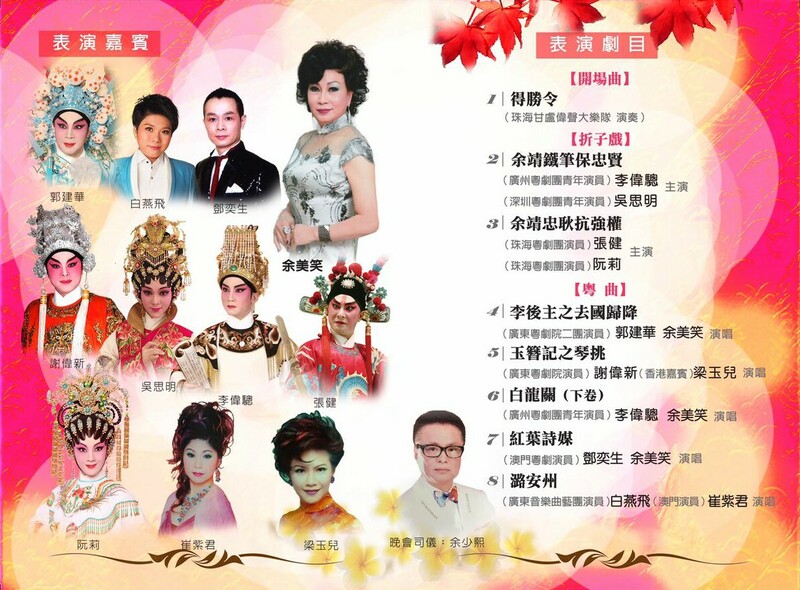 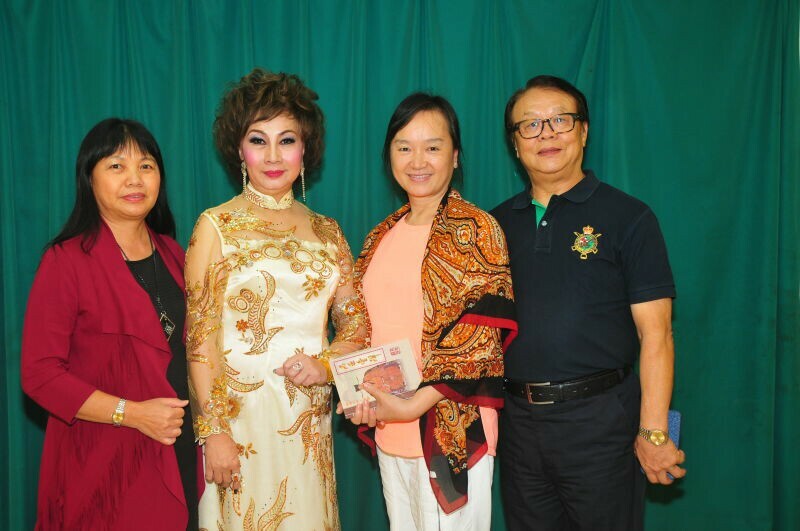 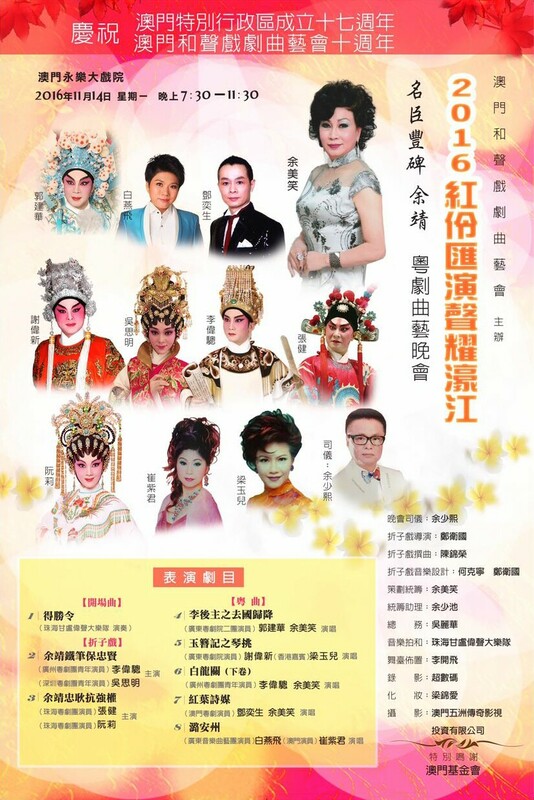 Organized by the Macau Wo Sing Chinese Opera 澳門和聲戲劇曲藝會 and sponsored by 澳門基金會| Fundação Macau | Macao Foundation, the Yee Jing Opera Gala was held at the 永樂戲院 Cinema Alegria on November 14. 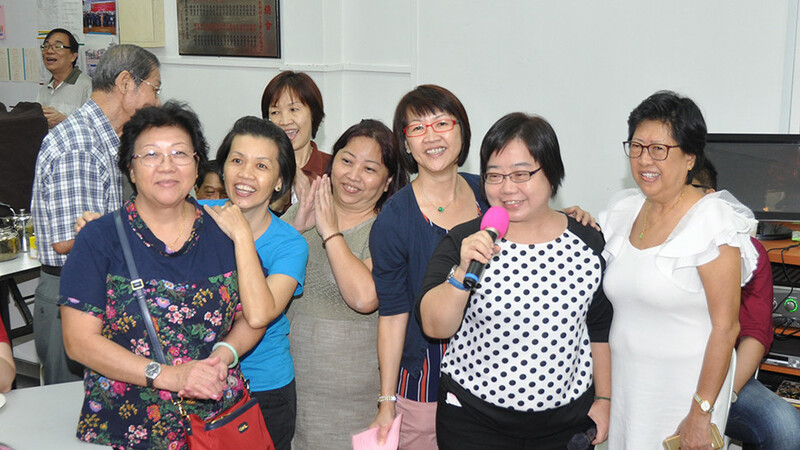 Now that Winter is fast approaching, most chapters are having their annual elections and celebrations. 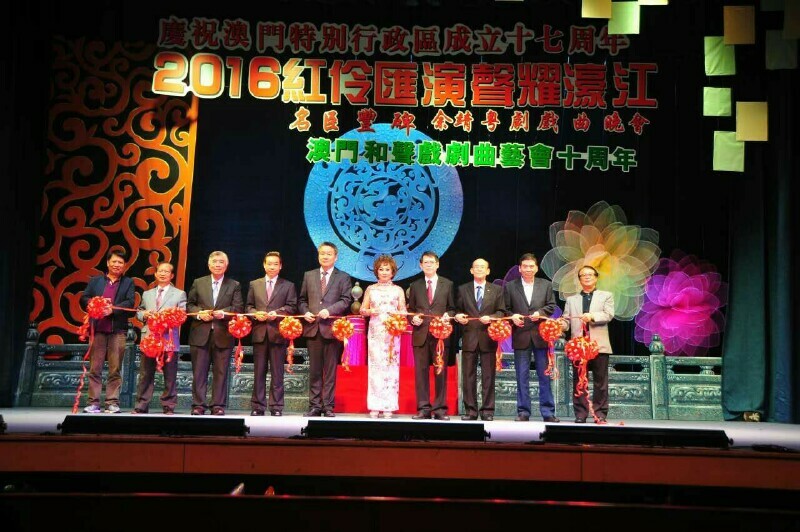 The next issue of the Yee Fung Toy Global Village Voice will be published in mid March, 2017, featuring reports of Winter or New Year celebrations and inaugurations of new Officers at Yee Fung Toy associations around the world. 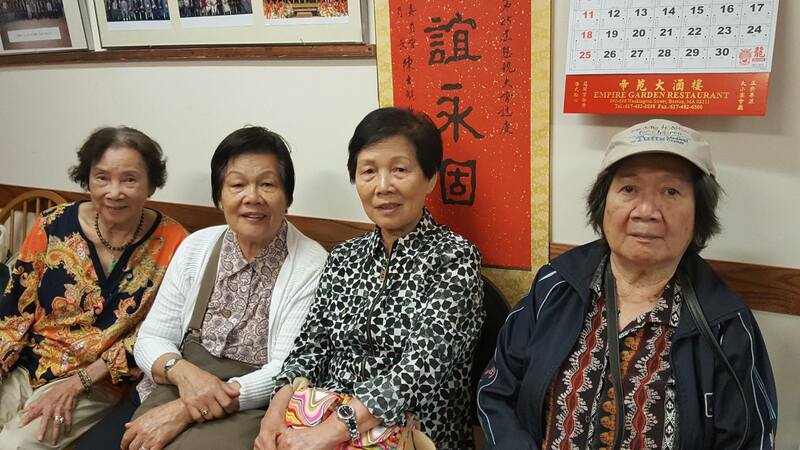 Please submit your articles to the Editor via email (world.yee @ gmail.com) or postal mail (The Editor, 226 East Georgia Street, Vancouver, B.C., Canada V6A 1Z7) by February 15.